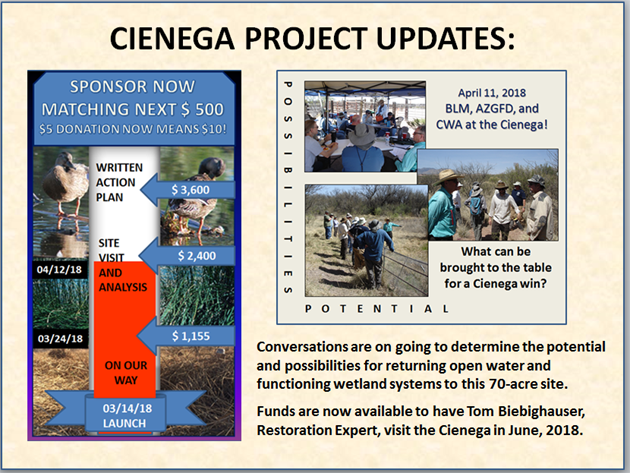 SAINT DAVID CIENEGA ONLY $1600 AWAY FROM RESTORATION PLAN! 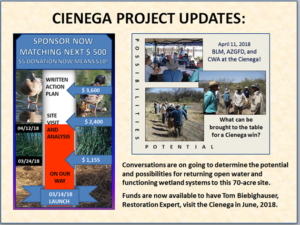 See a brief history of the St. David Cienega, a remnant of the San Pedro River of the past, including its recent decline, and learn what the Community Watershed Alliance plans to do to preserve and restore it in an informative video. The Donate button is located on the right side of the page. This entry was posted in Fundraising, River Protection by Robert Weissler. Bookmark the permalink.